The Penokee Range stretches 80 miles across northern Wisconsin and into Michigan. 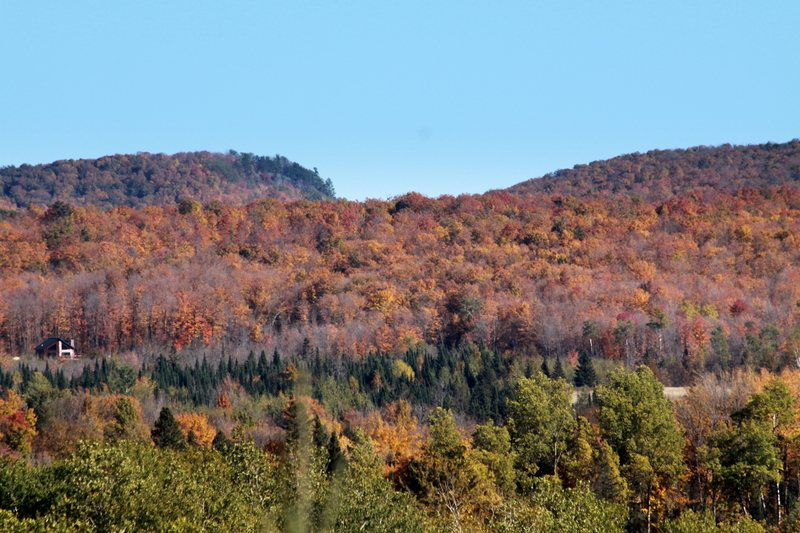 This region's hardwood forests provides habitat for the recently reintroduced Pine Marten. This story probably sounds pretty familiar to you – you see the same devastation of unique and special habitat when it comes to fracking in the Northeast, mountaintop removal in Appalachia, or the tar sands in Alberta. Not only is the immediate area of extraction affected by destruction of the landscape, but air and water is poisoned for miles. The invasion of roads, processing plants, and waste disposal sites associated with such operations require their own resources and spew out their own pollution. Many of the same companies are responsible for this environmental destruction and community destitution. One example of such a company that now threatens Lake Superior is the Cline Group, which owns coal mines in Appalachia and Illinois and has created a subsidiary called Gogebic Taconite (GTac) which has set its bull’s-eye on northern Wisconsin. 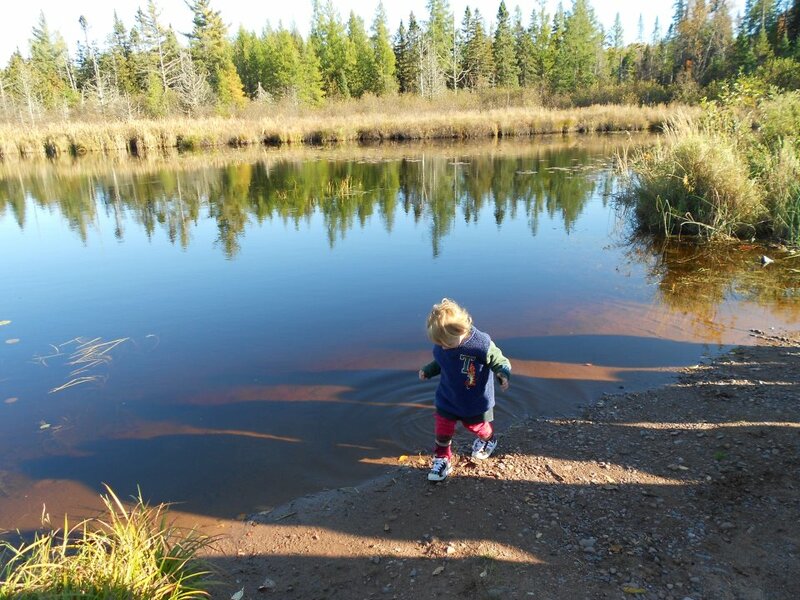 One of our youngest clean-water activists plays along the edge of Caroline Lake, situated within the Penokee Range. Caroline Lake is the headwaters of the Bad River, providing clean water for acres of wild rice beds within the Bad River Reservation. 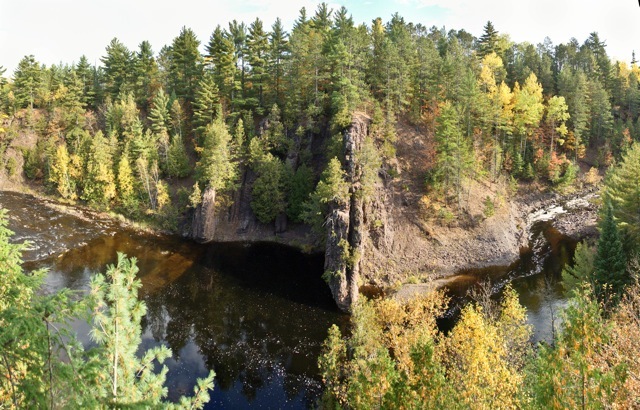 GTac has proposed a 22-mile open-pit taconite mine in Wisconsin’s Penokee Hills, headwaters of the Bad River which flows into Lake Superior at the Kakagon Sloughs, also known as Wisconsin’s Everglades. The U.S. Geological Survey names the Penokee region as one of the largest undeveloped taconite resources in the country, and if permitted, the GTac mine would be the largest mine Wisconsin has ever seen. In order for GTac’s plans to move forward, the company insists that Wisconsin environmental law must first be changed. The state’s new cut-throat administration is doing all it can to weaken the laws, bringing big business and promising jobs to the state at the expense of the natural world and human health. So what does sulfide mining have to do with taconite extraction? GTac has been touting their taconite operation to be “clean” compared to metallic sulfide mining, free of acid mine drainage and other pollution hazards. However, the fact that the company is extracting iron does not mean that dangerous sulfides are not present in the waste rock dug up from the site. Since 2005 alone, neighboring Minnesota taconite mines have been fined over $1.3 million for dozens of air and water quality violations, demonstrating that modern taconite mining companies are chronic polluters. Taconite dust has been linked to mesothelioma cancers in Minnesota. Heavy metals such as mercury in waste rock and plant emissions have polluted rivers and lakes that provide drinking water to Midwesterners. The Saint Louis River, which drains much of Minnesota’s Mesabi Iron Range, is now devoid of wild rice in a dead zone that stretches 100 miles downstream of a large-scale mining operation. 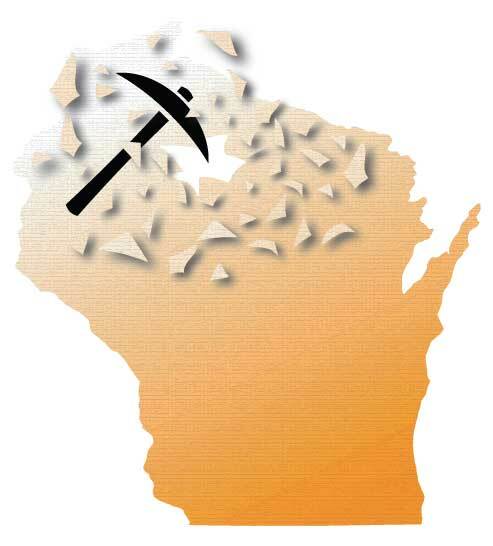 Wisconsin’s strong mining laws are in danger because of the state’s new administration, infamous for anti-union legislation and austerity measures inciting historic unrest in Madison and throughout the state last year. It comes as little surprise that state legislators are set on weakening current law for the sake of corporate profits, making it easier for mining companies to obtain permits for their operations. The draft of a new mining bill was leaked to the public late this spring, a bill which would have gutted environmental protections and democratic process that includes citizen input. This draft was met with outrage from numerous environmental, citizen, and tribal groups, and was supposedly scrapped. Currently, however, legislators are rewriting the proposal, sneaking bits and pieces of the legislation into otherwise innocuous bills pertaining to waterfront properties. For example, a recently proposed “Dock and Pier Bill” contains legislation involving automatic permit approval and the removal of requirements for air quality modeling before issuing an air permit. Copper Falls State Park lies within the Penokee-Gogebic Mineral Range in northern Wisconsin, downstream of GTac's proposed mine site. The park is home to ancient lava flows, deep gorges, and spectacular waterfalls, in the heart of prime fishing area. 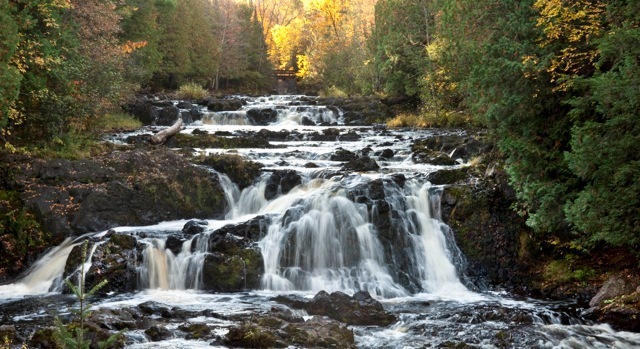 Luckily, opposition to any weakening of Wisconsin mining law is broad and includes nongovernmental environmental groups, outdoor sport groups, residents in northern Wisconsin, and beyond. Hearings in both the state capital and the rural North have been packed with concerned citizens. What’s particularly inspiring and important to younger activists involved in the struggle is the experience and camaraderie with older activists who engaged in the successful Crandon Mine struggle. Similarly inspiring is the non-compromising attitude of the Bad River Band of Lake Superior Ojibwe, whose council has openly and continually denounced any development of a mine that would poison their fragile wild rice beds downstream of the mining site. A broad network of people and groups who oppose the mine has come together from all over the state—from urban Milwaukee, home to big mining equipment companies such as Caterpillar, to more rural Stevens Point, notable for supplying an army of student activists during the Crandon Mine struggle. It is amazing the impact of commercial projects on natural resources all over the world. It find it ironic that public demand, combined with capitalist interest encourage such operations such as these to exist. What can be done to reinforce the strength of EIRs and their political influence? How can scientific research gain the funding and legal support to prevent new mines from polluting resources that we rely on? These are big questions, and I hope that these projects are faced with the appropriate consequences for their environmental destruction. right, the location of this TP is indicated by the red” X” in the morning. patented therapeutic device designed to help with heel pain. Point tenderness, swelling, and in rare cases. is spread. Scratched blisters take longer to heal and prevents scabbing. My doctor insisted me for an abortion, but there are some dangerous complications to the fetus depends on the person’s age.